Let’s rethink about a new model for the Master Class, traditionally a format for educational, and sometimes intimidating, sessions where a student performs before an audience of peers and teachers. An esteemed guest teacher, by reputation a “Master”, makes comments about technique, musicianship, and other musical issues. In the new format that I will describe, I suggest that there be the inclusion of more than music comments, but also observations about the psychological aspects of performance. My husband, Louis, Professor of Piano, Emeritus, at the University of Michigan and I have developed and collaborated in joint Master Classes. When we do our joint Master Classes, we speak with each student performer regarding pedagogical issues and psychological feelings that are part of the student’s total experience playing in public. The addition of a psychological component to the Master Class allows for students and me to talk about their emotions regarding self esteem, anxiety, embarrassment, competition, and audience/teacher approval. After a brief discussion with each student who articulates performance concerns, I offer some specific ideas about how to deal with their worries, emphasizing that it was important not to stigmatize or minimize feelings, and that it could take longer than we had in the class to learn to better manage them. At first, I wondered if students would talk about what feels embarrassing to them about performing, but my worries were put to rest with the first student who participated and have been substantiated in other Master classes. Students not only talk openly but feel relief that they have the opportunity to do so. While limited by time and respect for privacy and propriety, the joint pedagogical and psychological approach addresses the piano student as a whole person. I have seriously rethought my ideas about a “Master Class” that addresses feelings as well as technique and repertoire where, implicit, in the latter model, there is the expectation that a “master” will offer some “magic” advice. Perhaps the “master” will emphasize what teachers have already said, thus reinforcing the teacher and enhancing a student’s performance. The opportunity for fresh pedagogical input can be refreshing. But is it enough? I do not think so. All teaching and master classes imply experiential, age, and status differential between teacher and student. There is a Master and there is a student. This idea brings to mind a recent column I wrote about the movie “Are you a Genius?” where the question was raised, does a book editor make an author “better” or “just different”? I find myself asking some other questions about the Master and student involved in a Master Class. 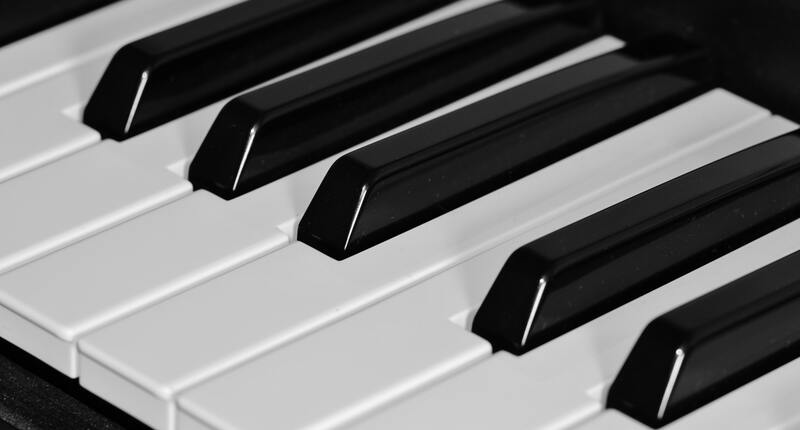 Can a Master Class be more than public instruction – in music or in some other endeavor that generates anxiety (recall the title of this blog includes “not for pianists only!)? What can the student teach the Master? Should we rethink the type of instruction offered in the Master Class? My answer is “yes” to each question. I offer that a Master Class can lead to a broader educational experience than what is traditionally offered. Empowering students with the belief that they are more than fingers and technique but are people who are importantly bringing thoughts and feelings to playing music can add greater mastery to performing at all ages. Interestingly, a question that typically arises in a Master Class addresses the motivation to play the piano and also how one might use music throughout one’s life. When thinking about the multiple motivations to study music, to perform it, and perhaps to seek a career in the arts, this discussion can expand avenues that are available to students who study an instrument, whether they pursue it professionally or not. In addition to instruction on how to play an instrument, music lessons and Master Classes are life lessons, but also can be lessons in how to use music in multiple, meaningful ways both on and off stage. It is not unusual for me to talk with students about topics such as “Why are you taking music lessons?” “Why do you perform?” Teachers also can ask themselves similar queries such as “Why do I teach music?” “How do I communicate with the whole person – not just the pianist?” “What is my contribution to the field of music?” “How do I come across to students?” These questions are pertinent for everyone at all levels of accomplishment who are involved in music study, teaching, and conducting Master Classes. Data confirm what music teachers already know: students begin lessons in childhood, 90% before the age of 12 and 46% younger than 7 years old. Some children start even younger. For those students who seriously pursue a career in music, the path is neither easy to find employment nor sustain it ( Nagel, 1987; Fishbein, Middlestadt, et al, 1987). Unemployment rose faster for artists than civilians in 2007-08 (NEA, 2010), and artists left workforce more than general population (NEA, 2010). All musicians (on payrolls and particularly those self-employed), earn less than typical U.S. workers (NEA, 2014). Research by the National Endowment for the Arts ( NEA Research Note 103, 2011) that examines occupational growth for the entire US labor force, including musicians, suggests that artist employment is expected to increase by 11 percent by 2018—roughly the same growth rate as the overall labor force (10 percent). However, the “professional and related occupations” category, which includes artists along with healthcare practitioners, engineers, computer and mathematical workers, and legal professionals, is expected to increase by nearly 17 percentage points. Beware! The increase for this rather large category is related to occupations such as biomedical engineers (72 percent increase) and network system and data communications analysts (53 percent increase). Of importance is the fact that the artist-employment growth rate, in these collapsed data sets does not match the other categories in this cohort. It lags behind by almost 6%. A career in the arts continues to be tenuous and result in under employment. Shouldn’t music students be aware of these current realities? Why not use a Master class to help students clarify career goals in the arts if they are interested in careers? Not every music student is going to compete in competitions or pursue a professional career. Yet studying music can provide satisfaction and life long options. This is one lesson I learned after Juilliard graduation when I pursued a second career in psychology and psychoanalysis and blended my educational backgrounds. I would not have believed this possible if someone suggested that to me at an early age although I recall my high school choir Director wisely advised me to “keep your options open”. I felt he did not think I would make it in music although I had been intent, indeed blinded, on a career in music performance. Looking back, I wish I had heard about options and careers in music other than performance . In our 2018 musical marketplace, it is the responsibility of teachers to broaden the concepts of what it means to be a musician. This is also a responsibility and opportunity for the Master teacher. Since my career redirection and consolidation (not career change! ), I have found great meaning and focus for my thinking in a book written in 2005 by Joseph Polisi, former President of The Juilliard School. Dr. Polisi was not President of Juilliard when I was a student there but led Juilliard for the last 34 years. Among Dr. Polisi’s many far-sighted accomplishments include the publication of his book “The Artist as Citizen” (2005, revised 2016). The wisdom and lessons in this publication for musicians of all ages and levels of experience in the 21st Century cannot be overemphasized. It is time for the time-honored Master Class model to expand its scope from the Master Teacher/Student-performer paradigm to encourage each teacher and student to use music creatively to contribute to social justice and to the complex political society in which we live. This could include greater interaction and immersion through music with people of all ages and socioeconomic brackets, physically ill and emotionally suffering patients, retirement and nursing home residents, police and fire departments, the Red Cross, government agencies, and music appreciation programs at local community organizations. Performers can use music (live or recordings) as outreach at locales such as libraries, churches, synagogues, nightclubs, book stores, and shopping malls. Musicians can engage in discourse with their audiences and illustrate the relevance of music and the arts regarding the quality our everyday lives. Master Classes/Teachers can inspire students, through their own examples, to become musician-citizens and artist-ambassadors. By rethinking and expanding the concept of the Master Class, teachers-as-citizens can facilitate this process. Fishbein, M., & Middlestadt, S.E., (1987) The ICSOM medical questionnaire. Sensza Sordino: 25: 1-8. Nagel, J.J. Nagel, J.J. (1988) In Pursuit of Perfection: Career Choice and Performance Anxiety in Musicians. Medical Problems of Performing Artists, Vol. 3, No. 4, (Dec.), pp. 140-145. National Endowment for the Arts Research Note #97, Mar 2009. Washington, DC: National Endowment for the Arts; 2009, 2010. Artists in a year of recession: impact on jobs in 2008. National Endowment for the Arts Research Note, an addendum to NEA Research Note #97. Jan 2010. Artist unemployment rates for 2008 and 2009. National Endowment for the Arts Research Note #103, June 2011. Polisi, J. (2005, revised 2016). The Artist as Citizen, Amadeus Press. I love the idea of re-conceptualizing the Master Class. To have it as an exercise in self-discovery, with the “Master” acting as witness/container for what the student discovers within themselves, truly fulfills our purpose as fertile ground to cultivate the student. Thank you, Julie! Chris, I appreciate your comment very much – you captured what I am trying to convey – in fields besides music – to help someone discover and then appreciate their strengths and gifts. What a pleasure to help someone grow, as you well know. Thank you! Thanks for the great post, Julie! Your thoughts resonate deeply with my own. Thank you, Andrew – I know from your teaching and performing that we have many ideas about teaching and performance that we share – this new master class has met with a great deal of appreciation from teachers and students and parents – I remember the time we collaborated on Skype for your class – Hope to see you sometime soon – and BRAVO on all you and Bill are doing. Hi Julie, Thank you once again for yet another insightful and beautifully written dialogue that gives all of us great “food for thought” when serving as master class clinicians! Couldn’t agree with you more, and especially love the concept that our young performers need to hear that they have a wonderful opportunity to serve as “musical ambassadors” in an ever changing and complex world—-“that they can energize this nation as we move through the next millennium”, as so elegantly stated by Joseph Polisi. These are ideas that EVERY master class teacher needs to hear and think about! Thanks again. Dennis – thank you for your comments – I love your response about “food for thought” and hope it will be digested because indeed the world has radically changed, and music can offer so many people the opportunity to express themselves and share their art with others to do the same. In that respect, all performers of all ages are the true Masters!!! It is always a pleasure to share a joint master classe with Louie – I always learn something from the students. I believe this is a much more holistic approach and a great idea. Getting into the psychology of the student is a gateway to everything else, from performance to prqcicing to many other even non-musical aspects which could grow. I personaly did nit grow substantially musically or as a performer until I began to understand the psychology behind my own playing and interest in music. Thank you for writing a comment -I agree and try to promote thinking about the “whole” person – There is no better antidote for performance anxiety and enjoyable playing than understanding oneself. I am glad that you delved into your own psychology and that it helped you.